Ace edition May 1989. [This Publication Record]. "This book is an Ace original edition" on copyright page. 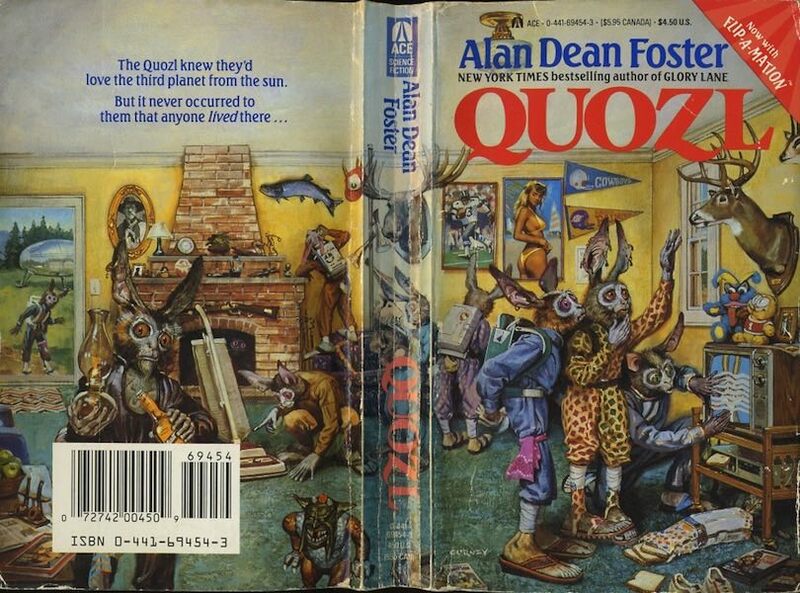 Copyright © 1989 by Alan Dean Foster. "Cover art and interior illustrations by Jim Gurney" on copyright page. Cover art signed "Gurney" at bottom left front cover. Cover art is wraparound. Interior illustrations are "Flip-a-Mation" and are not individually signed. Odd pages 73 through 273 have a series of small illustrations in the upper right corner. When the pages are flipped, they appear to be animated. The illustrations were also provided by Jim Gurney.